August is absolutely my favorite month in Seattle! Summer often gets a late start here in the Pacific Northwest. Depending upon the year, it can take until early August for the season to really settle in, but August definitely equals Summer in Seattle. Along with all sorts of fun. 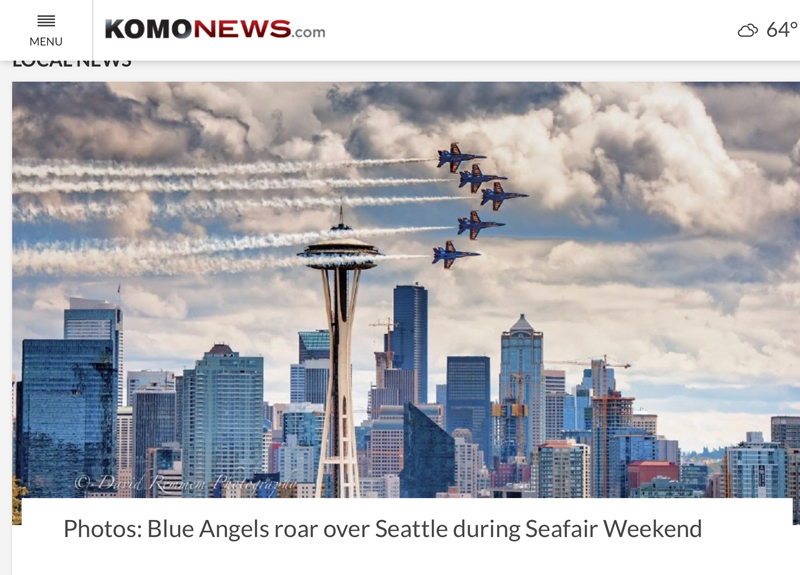 August kicks off with Seafair's hydroplane races and Fleet Week. 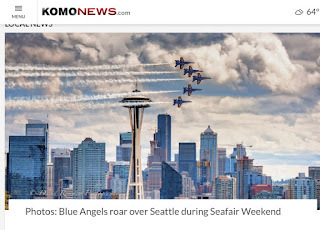 I've never been to the races, and this year I missed the Parade of Ships, but I couldn't miss the Blue Angles soaring overhead. I got a fantastic view of the fighter jets as they filled the skies with their roar while I pressure washed a driveway. Most fun I've ever had using a pressure washer! It's amazing I didn't topple over backwards while craning my neck towards the sky. Since I didn't have my camera handy to take photos, I nabbed this one from one of the local tv station's website. 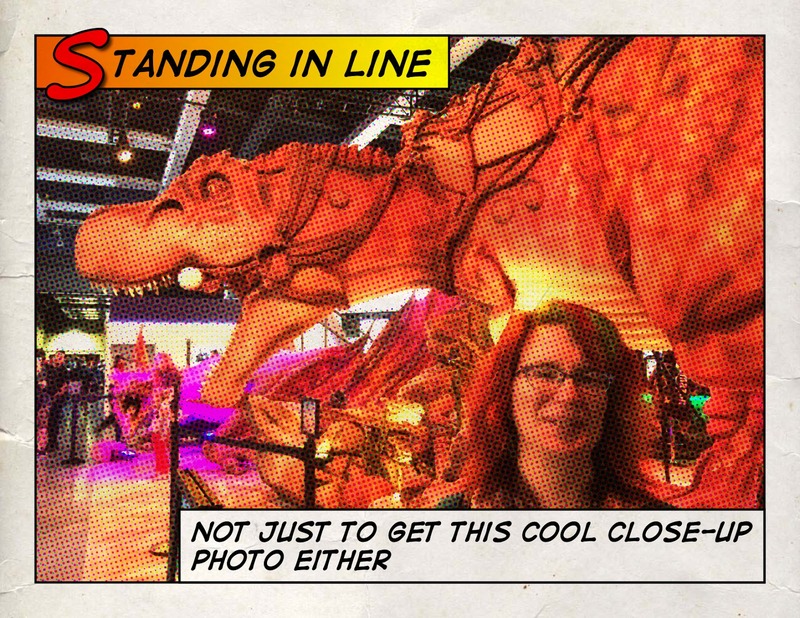 The Navy managed to make waiting in line fun! This year, we made it down to the waterfront to tour the Destroyer the USS Gridley. The line was long, but we spent most of the wait chatting with a sailor about his day-to-day experiences living aboard an aircraft carrier. 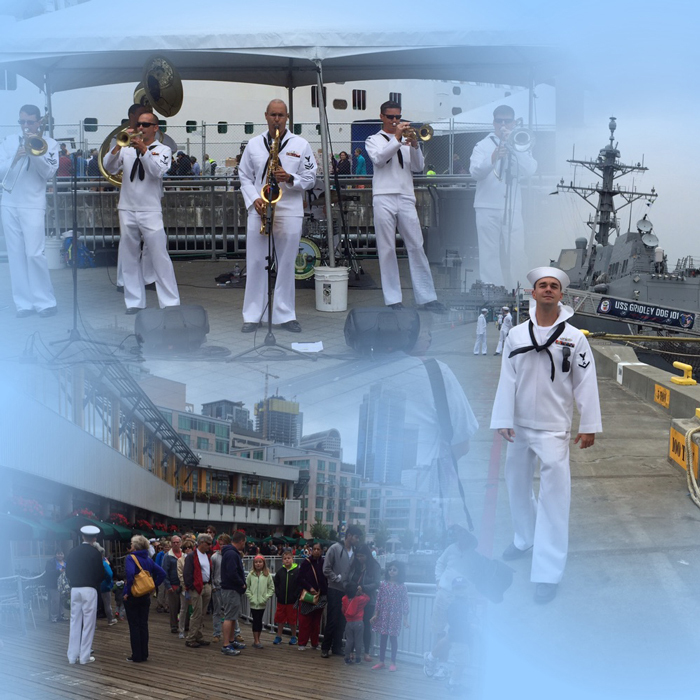 They even had a band playing! Before we could step foot on the dock, we had to go through an old-style airport metal detector, at which point Joe realized he'd forgotten to leave his pocket knife at home. Turns out the Navy is far more accommodating than TSA. They kept his knife while we toured the ship, and we reclaimed it as we left the secured area. Middle of the month, we 'played hooky' the afternoon of my birthday. 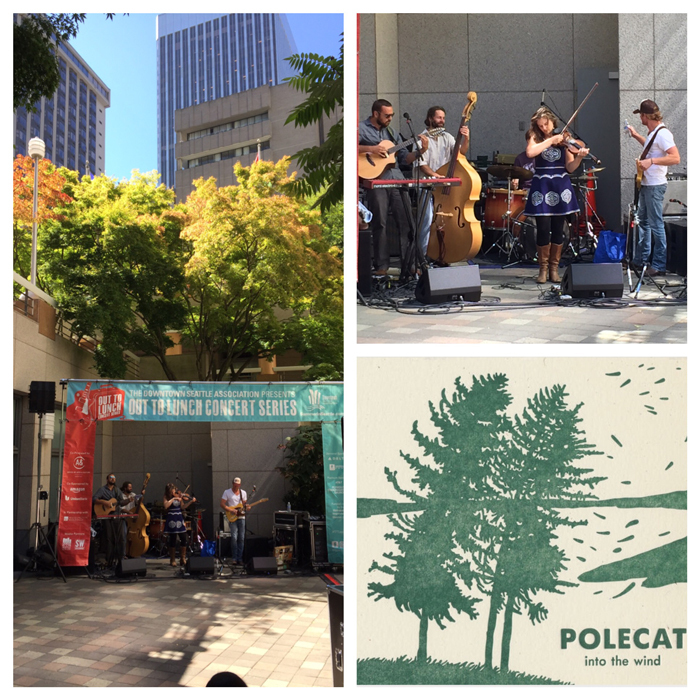 Bright blue skies, warm (low 80s) with a cool breeze, it was a perfect day to catch one of Seattle's free, Out to Lunch (OTL) concerts. The OTL program described the Polecats as a 'blue-grass, celtic fusion' band. They describe themselves as "five mad scientists who aren’t afraid of rejecting predictability and conformism". Both are accurate. While the bluegrass/celtic roots of their music is very clear, it's layered with pop, rock, and at times even a hint of reggae. Most of their set was original work, but they performed a few covers - including a rollicking bluegrass meets calypso version of "Under the Sea", and a thoroughly entertaining "Walk of Life" a lá Dire Straits. We finished the afternoon with a ride to the Seattle Center via the monorail. Before heading home, we purchased mini-cheesecakes from Confectional. Yum! Next followed a couple of quick trips. First a weekend jaunt up to Bellingham for the wedding of two friends. Then I got a call from Dawn, one of my best friends from college. 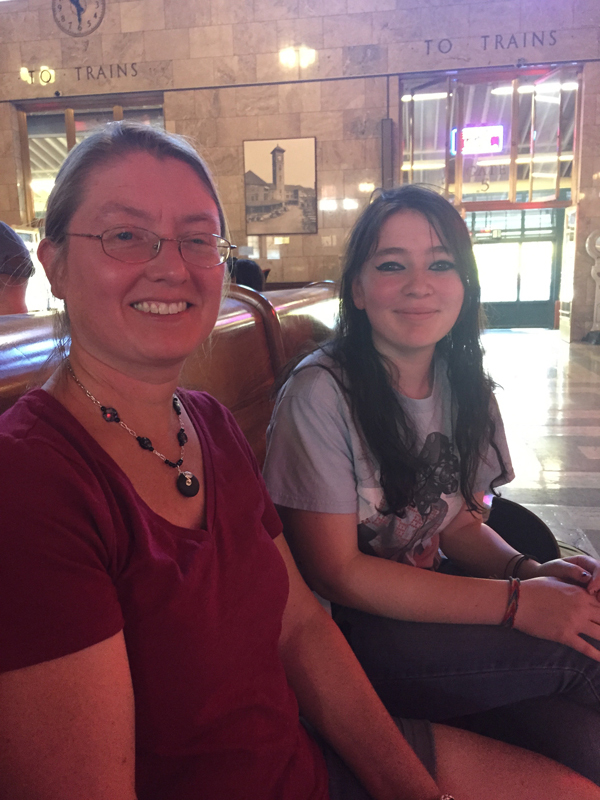 She and her family were visiting Portland from the midwest to drop their youngest daughter off at college. Did I mention that Dawn and I met the first day of freshman orientation, oh so many years ago? Yeah for the Amtrak Cascades! 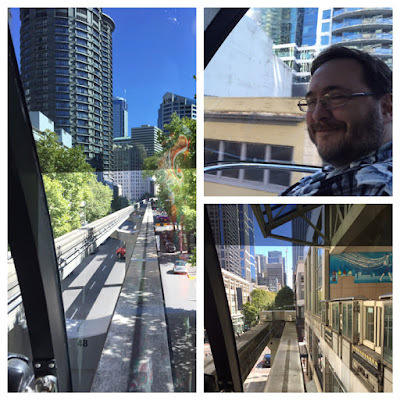 I was able to catch an early train down and spent the better part of the day wandering around downtown Portland with the two of them, including a leisurely tour of the Portland Art Museum and their Native Fashion exhibit that I'd been dying to see. And as the sun started to set, they walked me back to the train station and we said goodbye. 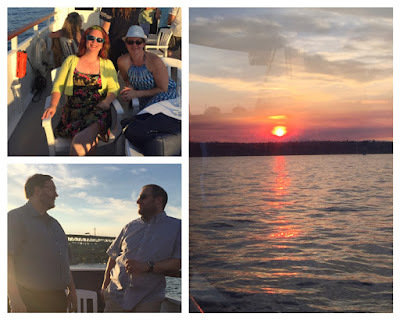 As a late birthday present, Joe booked a dinner-cruise with a couple of our friends, touring Lake Union and Lake Washington. I think it was the hottest day of the summer (which means about 90F). 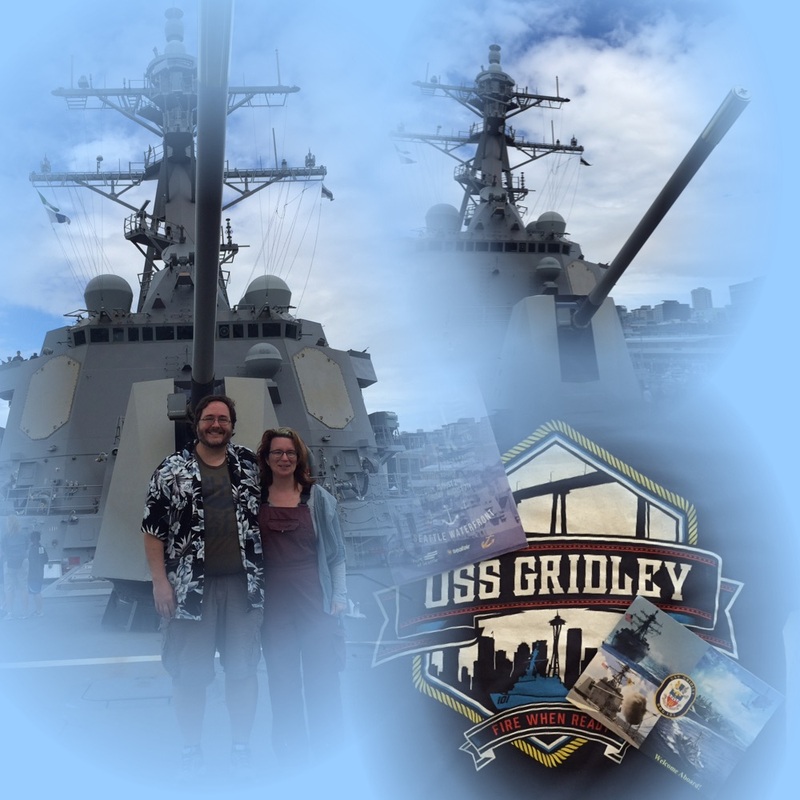 We hadn't been out on the water all summer (unless you count standing on the USS Gridley while it was docked), so it was about time. And then, there was PAX. 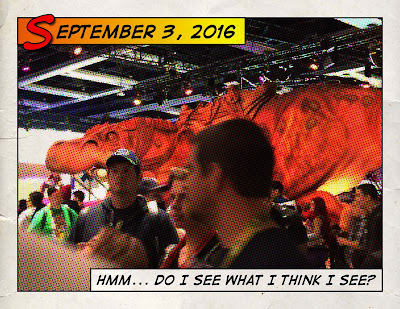 This year PAX fell over Labor Day weekend, but it's normally in August, so I'm extending August to include it. What's a little 'month-creep' amongst friends? 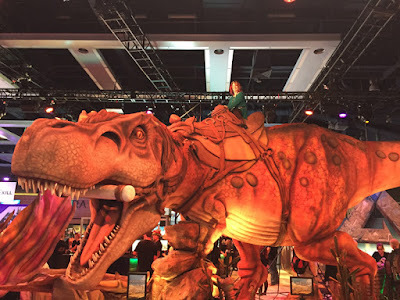 We never manage to pick up PAX tickets when they go on sale. Luckily, we have a number of friends who do. So, while we were at our friends' wedding, I was able to find other friends with extra tickets to sell. I was really waiting to take this photo. The T-Rex was there to promote a video game - I think it was ARK: Scorched Earth. 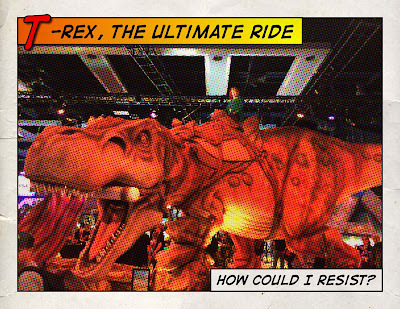 The huge video screens behind the T-Rex were filled with dinosaurs and other creatures. 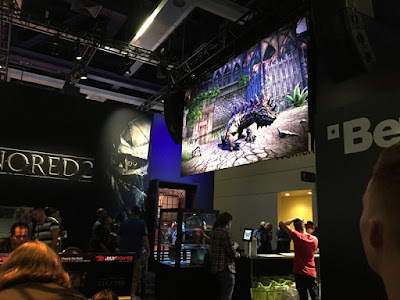 If I were a video gamer, I'd probably be interested because the graphics were gorgeous. 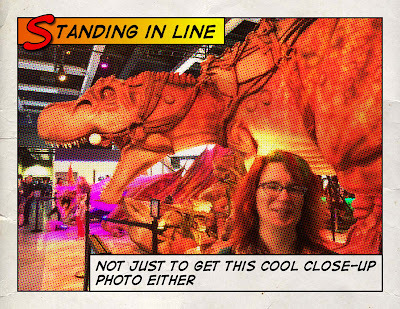 Me, I just wanted to have my picture taken riding a T-Rex. That was cool enough for me. Climbing the ladder to get up to the saddle, and swinging my leg over, lets just say that my acrophobia is still present. But it wasn't going to stop me! 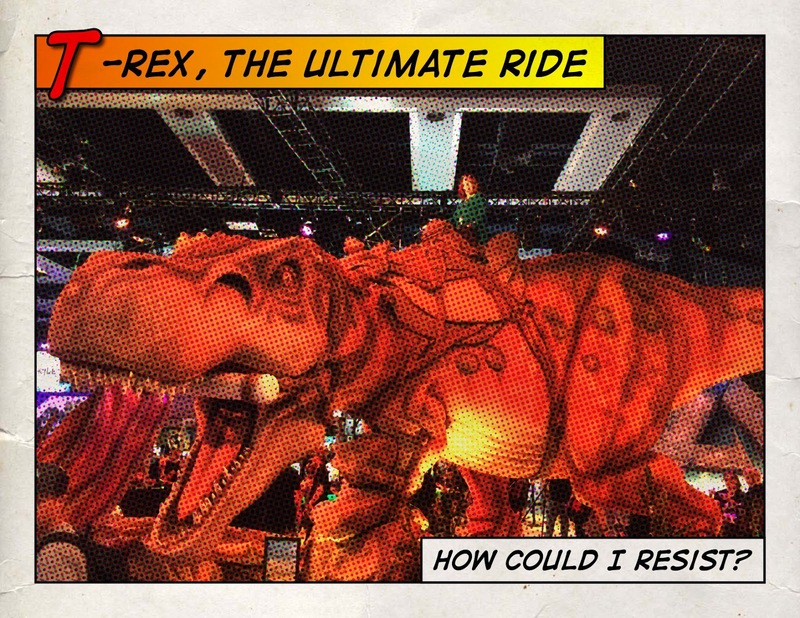 The dino pictures seemed to beg for some comic book styling courtesy of the Halftone ap, but here's one last pic, straight up. I'm just a little speck, way up top!